"The 2014 Looseleaf Ultimate Code Book"
Hi-lited and Tabbed Looseleaf NEC Code book. Includes Tom Henry's 2014 "Key Word Index", Reminder Book and popular Formula Insert Pages". Our Big Seller! 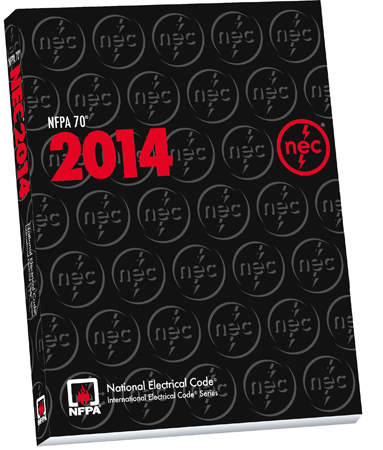 Check with your Building Department and Testing agency on when the 2014 National Electrical Code will be enforced. If you don't have a 2008 or a 2011 ULTIMATE you may want to order one while the supply lasts.